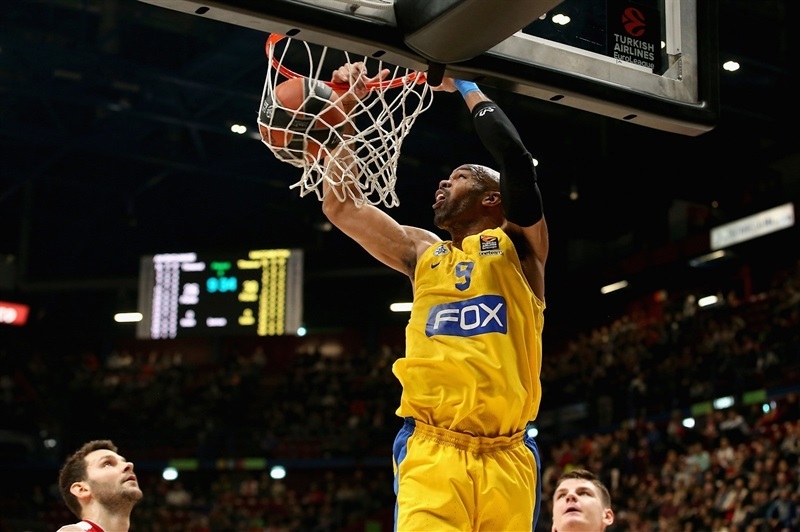 Maccabi won the highest-scoring EuroLeague game in more than five years by topping host Milan 102-111 on Friday. 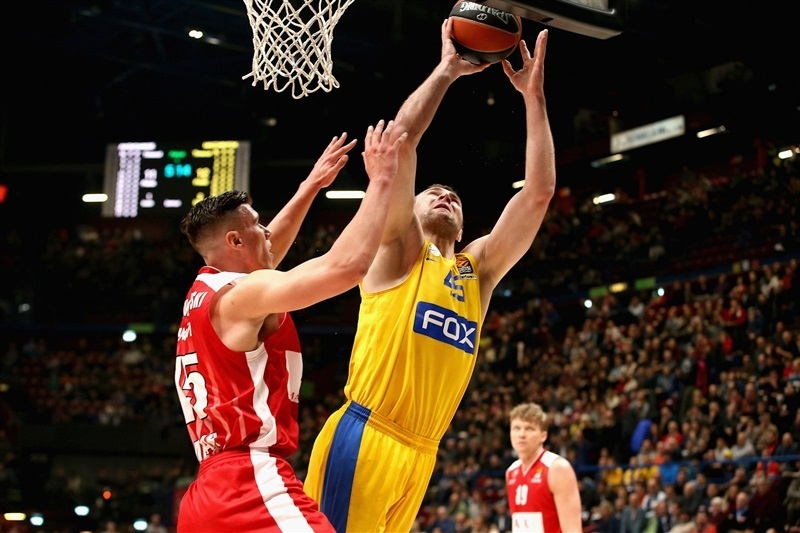 Maccabi improved to 11-9 in the standings, tying Khimki for seventh place, while Milan dropped to 6-14. 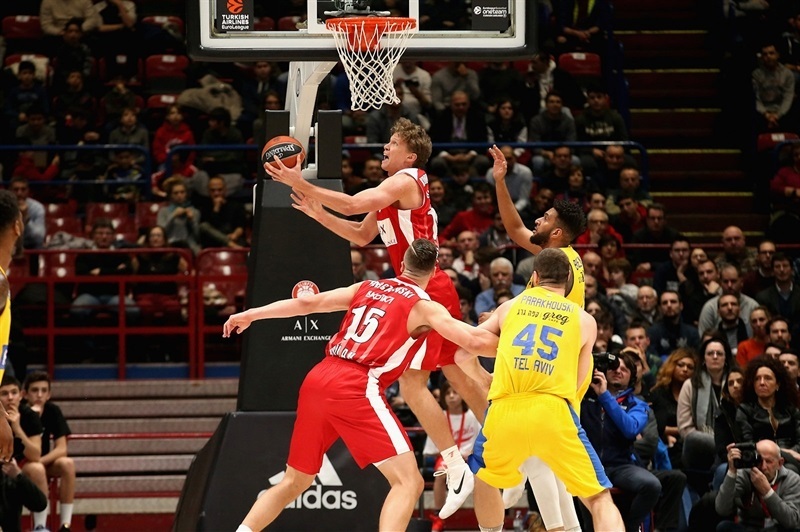 The combined 213 points marked the fifth-highest total in non-overtime game in EuroLeague history and the most in any game since Cedevita beat Zalgiris 108-106 in double-overtime on November 15, 2012. 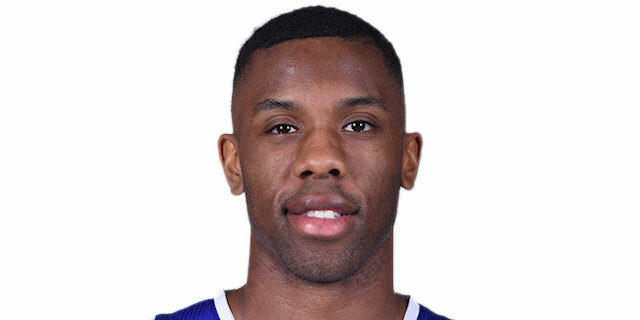 Norris Cole led the winners with 19 points. 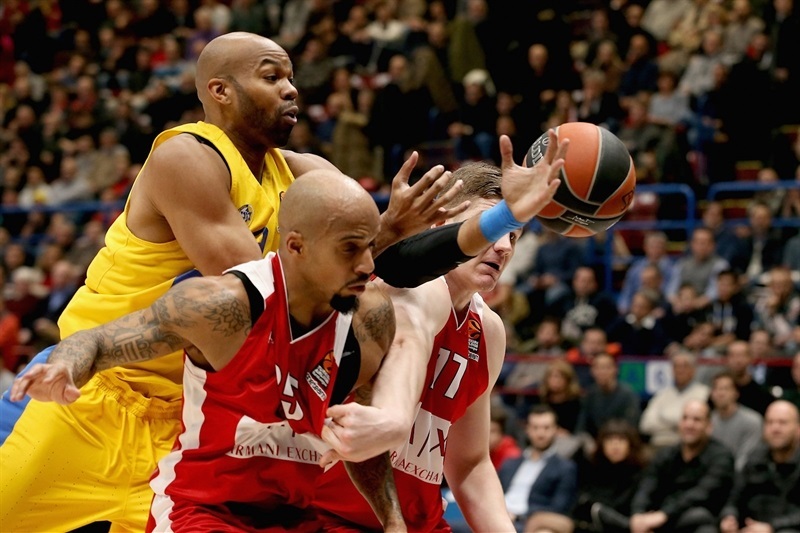 DeShaun Thomas added 18, Art Parakhouski and Alex Tyus 14 each and Michael Roll 12 for Maccabi. Jordan Theodore led Milan with 22 points. Arturas Gudaitis added 18, Andrew Goudelock 13, Amath M'Baye 11 and Andrea Cinciarini contributed 10 for the hosts. Parakhouski and Thomas shined early to give Maccabi a 11-20 lead. Milan fond a go-to guy in Gudaitis, who got help from Goudelock to keep the hosts within 26-30 after 10 minutes. Tyus took over early in the second quarter to boost the guests' lead to 28-36 before a layup by DeAndre Kane made it 45-55. 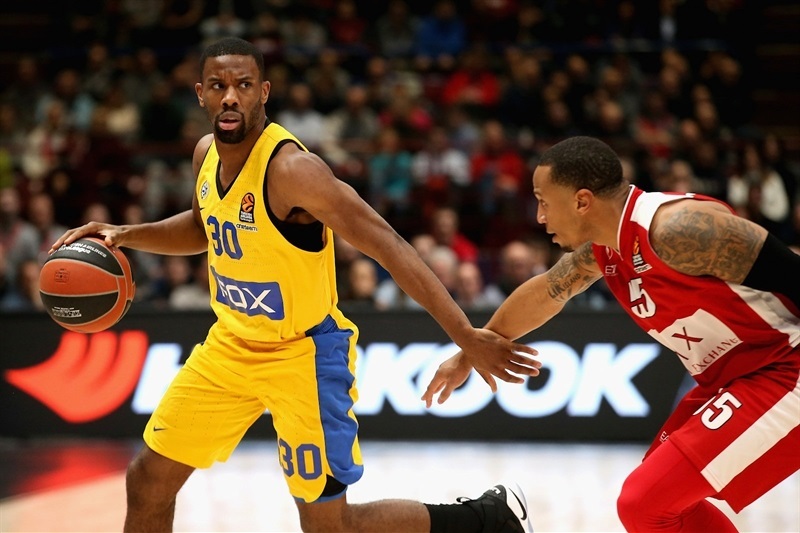 Vladimir Micov and Gudaitis stepped up for Milan but a huge slam by Tyus gave Maccabi a 50-57 edge at halftime. Jackson had eight points in a 0-10 run to boost the guests' margin to 52-67 soon after the break. Maccabi kept a 70-83 margin at the end of the third quarter. Theodore and Gudaitis brought Milan as close as 98-102 but back-to-back three-pointers by Thomas sealed the outcome down the stretch. 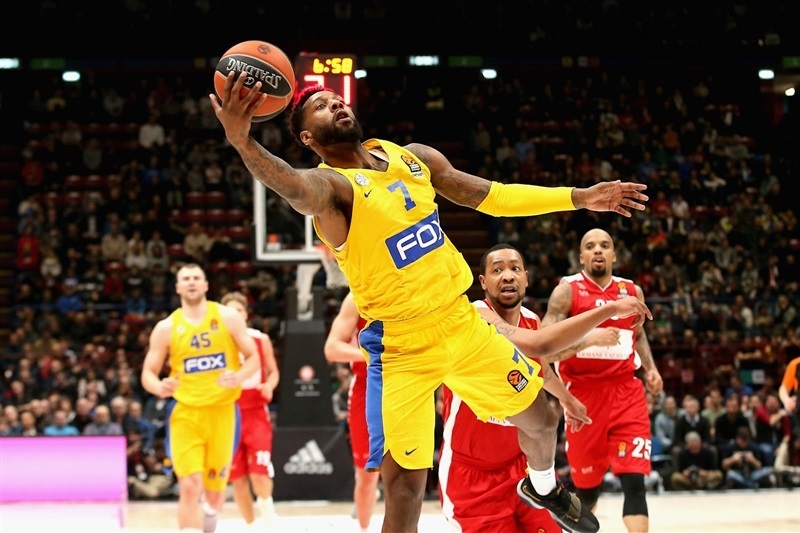 It was the second-highest EuroLeague scoring ever by Maccabi in a road game and its best total overall since scoring 113 against AEK Athens on December 2, 2004. Theodore got Milan going with a couple of three-pointers, giving his team a 7-4 lead. Jonah Bolden and Jackson fueled a 0-6 Maccabi run and Parakhouski followed a jumper with free throws for an 11-14 Maccabi lead. Thomas struck from downtown and Parakhouski dunked to make it 11-20. Thomas kept pacing Maccabi with consecutive jumpers and Kane added a three-point play but Goudelock and M'Baye rescued Milan from beyond the arc and an outstanding Gudaitis brought the hosts within 26-30 after 10 minutes. Tyus dunked early in the second quarter and scored twice more around the basket to give Maccabi a 28-36 margin. 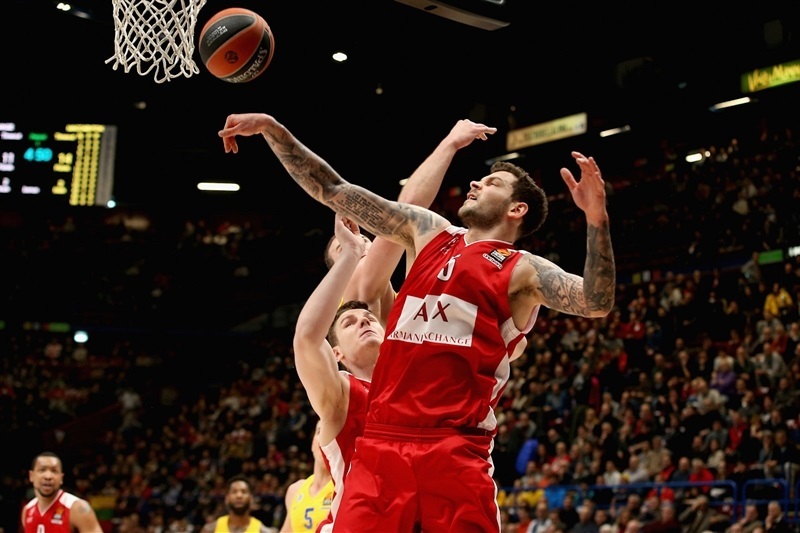 Andrea Cinciarini followed a jumper with a three-pointer and Dairis Bertans hit one from beyond the arc to keep Milan within 36-40. Bolden hit a jumper and a three-pointer but Cinciarini, Theodore and Micov kept Milan as close as 45-49. Cole had four points in a 0-6 run and even when Micov struck from downtown, a wild buzzer-beating put-back slam by Tyus fixed the halftime score at 50-57. 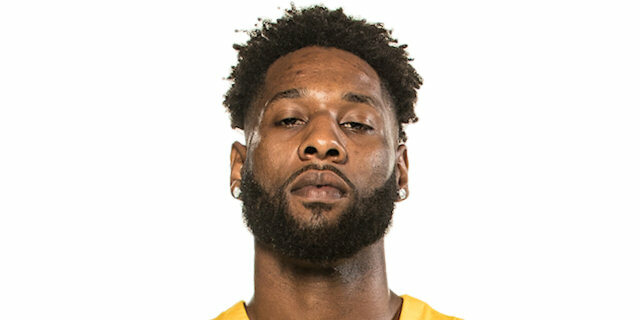 Mindaugas Kuzminskas scored down low right after the break for Milan, but Maccabi immediately found a go-to guy in Jackson, who had 8 points in a 0-10 run that broke the game open, 52-67. Cinciarini and Kaleb Tarczewski stepped up for Milan but Cole and Tyus kept Maccabi way ahead, 58-74. A three-point play by Thomas soon made it an 18-point game, 61-79. 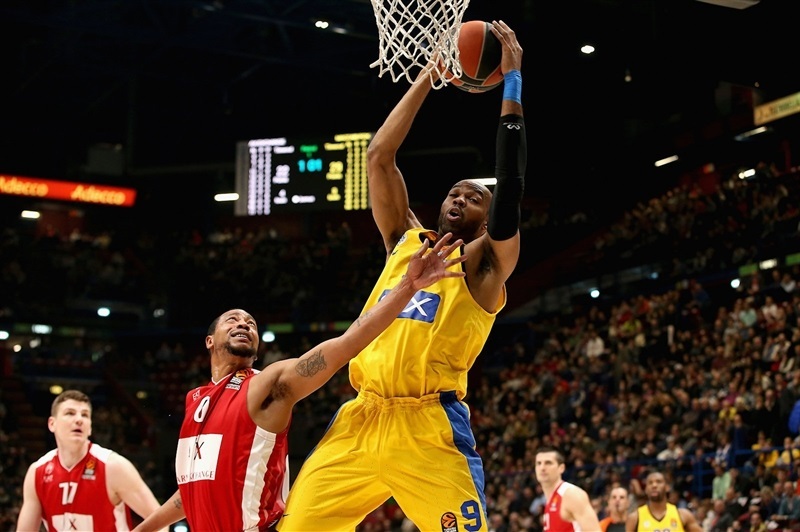 Goudelock hit a triple and got help from Tarczewski and M'Baye to keep Milan within 70-83 after 30 minutes. Roll and M'Baye exchanged triples early in the fourth quarter and back-to-back baskets by Theodore got Milan within single digits, 79-88. Cole and Roll each struck from downtown, but so did Goudelock and Curtis Jerrells to make Maccabi call timeout at 90-98 with more than 3 minutes left. 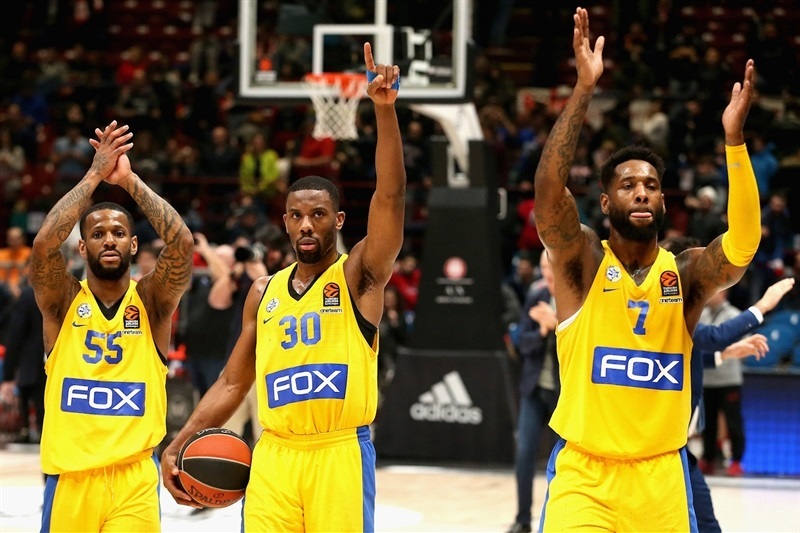 Goudelock and Theodore managed to bring Milan within 98-102 but Thomas struck twice from beyond the arc and Jackson added another three-pointer to seal Maccabi's road win in style. Both teams return to Turkish Airlines EuroLeague action on Thursday, February 1, when Maccabi visits Zalgiris Kaunas and Milan also plays on the road against FC Barcelona Lassa. "We put everything on the court, but the difference of energy and athleticism was too much tonight for us. There was a moment when they had Pierre Jackson, Norris Cole, DeAndre Kane, DeShaun Thomas and Alex Tyus on the court. They got a lot of fastbreak points, pushing all the time. They have these kinds of players who can run and get second-chance points. We tried until the end. Also for us, we had five players who scored in double digits. 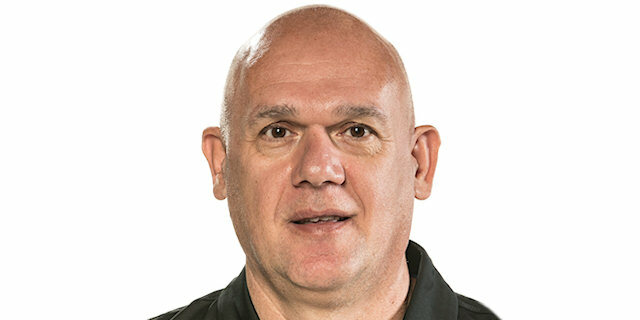 We tried to move the ball but their athletisicm and the gap in energy was too much." "I think it is very difficult to win here becuase lately, Milan has been plaing way better basketball than in the beginning of the season. We controlled the game for the most part but had, let's say, five or six minutes in which we lost it and they came back. Overall, I think we played good basketball and I hope we will play better defense in the future, that is all. I said before the game that every game is important. Now, it is money time and every game counts." "After a long time, I am back in Milan and I am very happy to be here, especially after winning the game. I have to give credit to my team and what they did offensively, but I still think we need to play way better defense if we want to make another step this season. We controlled maybe 90% of the game, and it is not easy to play against anybody and control the game 100% of the time. Milan has an amazing roster, with so much talent, and they have been playing better lately. We lost the focus; we played with a short rotation tonight and players were probably tired. We had six turnovers in the last quarter and 12 in the entire game. This is a big reason why they came back." "It was just good to get the win. It was a competitive game, a high-paced game but we stuck together and came through for each other. I am just leading my guys, trying to be a leader. We needed this win and my teammates did a great job fighting, setting good screens for me, rebounding the ball. We played as a team tonight and when the time came for me to lead and step up, I was able to do that."